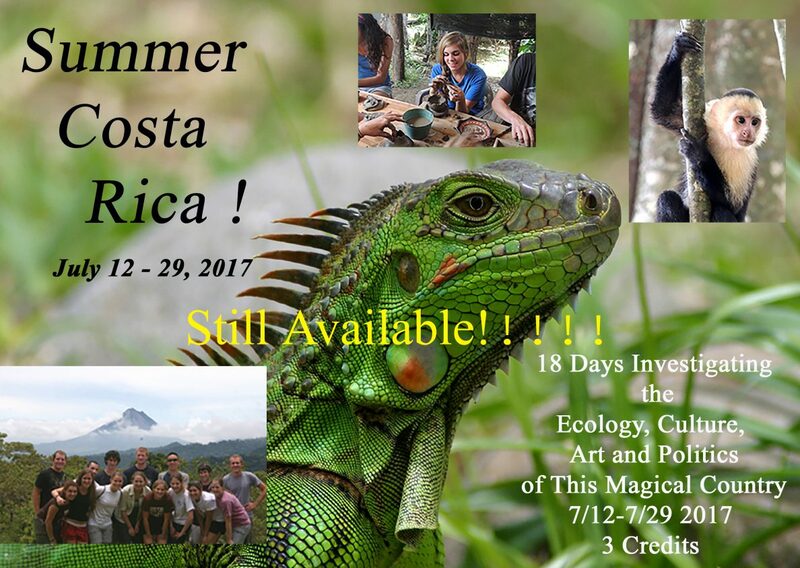 Final project topic, scope and format for this 3 credit course will be determined in the field while in Costa Rica and will be developed as extensions of trip activities or data collection. Students will be provided with numerous appropriate potential topics before and during the trip (see list below), or may propose their own for consideration by the instructor. Dr. Auger and each student will reach an agreement as to the topic, scope and format of the final project before the end of the trip. Project time will be given during the trip. See the course syllabus for details on the final project and other aspects of the course.